When I started in the technology consulting business 27 years ago, I was often the only woman in the room. Although this situation is now less common, it still occurs too frequently because we still need more women in senior leadership roles. Choosing what was, at the time, a non-traditional career path for a working mother taught me the importance of inclusion and diversity in driving innovation. To deliver innovation, we need people who bring their unique perspectives and skills to the table. Even with much progress already made toward achieving gender pay parity and encouraging women to pursue STEM careers, there is more to be done. How can we build on our gains towards equality and innovation? That is the question Accenture recently sought to answer. Our 2018 Getting to Equal research finds that a company’s culture – its values, beliefs, ways of thinking, working and behaving – is the key to unlocking equality in the workplace. We surveyed more than 22,000 working men and women with a university education in 34 countries, including Canada. We measured their perceptions of factors that contribute to their workplace culture. The survey was supplemented with in-depth interviews and a detailed analysis of published data on workforce issues. Our research identified 40 factors that create a culture of equality. These fall into three broad categories: Bold Leadership, Comprehensive Action and Building an Empowering Environment. Women are 38 per cent more likely to advance to manager or above and are five times as likely to make senior manager/director or above. Men are 29 per cent more likely to be promoted to at least manager and twice as likely to reach senior manager/director or above. If all working environments in Canada were like these, we would have 94 female managers to every 100 male managers, up from the current 53. Women’s pay could increase 39 percent, or US$26,627, per year and women could earn US$95 for every US$100 a man earns, helping to close the pay gap. What can companies do right now to effect change? Our research shows that within the three categories there are a number of core areas that catalyze change. Under Bold Leadership: Gender diversity is a priority for management; a diversity target or goal is shared outside the organization; and the organization clearly states gender pay gap goals and ambitions. For Comprehensive Action: The company has made progress in attracting, retaining and promoting women; it has an active internal women’s network that is open to men and women; and men are encouraged to take parental leave. 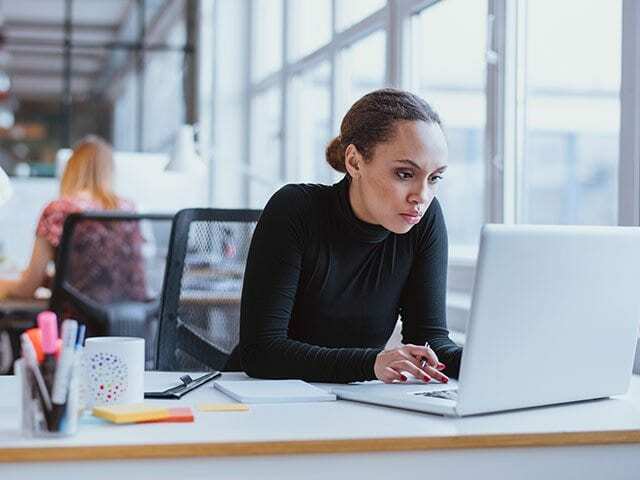 Under Empowering Environment: Employees are not asked to change their appearance to conform to company culture; they have the freedom to be creative and innovative; and virtual or remote working is widely available and is common practice. As well, the organization provides training to keep employees’ skills relevant; employees can avoid overseas or long-distance travel with virtual meetings; and they can work from home on a day when they have a personal commitment. Finally, employees are comfortable reporting sexual discrimination or harassment to the company. Companies that embrace all three categories can effect real change and drive a positive culture where everyone can advance, make engaged contributions and reduce or even eliminate the business risk that poor office culture brings. That’s the true power of equality: when she rises, we all rise.